During my research on Russian websites I found a new security tool called „Oracle Security Tools„. 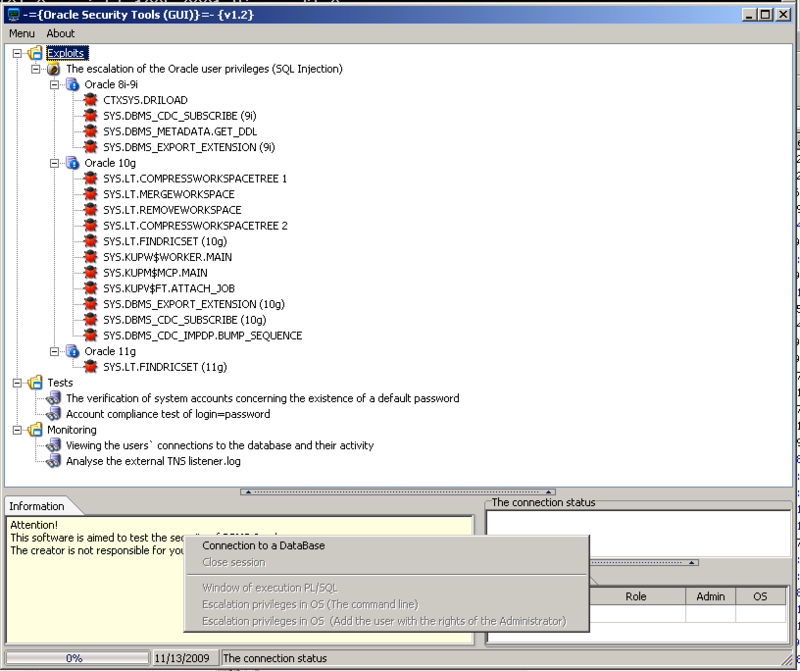 This tool offers different methods to exploit Oracle databases. The infiltration into the OS and the execution of DOS-commands, holding the administrative rights. It seems to be a problem with my vmware system and the mulitple Oracle Homes. After switching to another computer the program was working without problems. You are currently browsing the Alexander Kornbrust Oracle Security Blog blog archives for November, 2009.